McDonald’s Canada is looking to get kids active with the release of its latest Happy Meal toy. 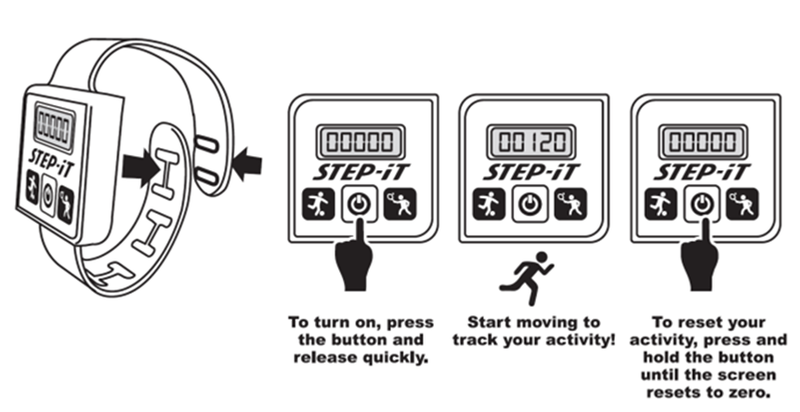 On Tuesday the quick-service restaurant introduced the “Step-It,” a new activity tracker wristband created by McDonald’s that will be packaged with the chain’s Happy Meals for the next four weeks. The toy is now available at all McDonald’s restaurants in both Canada and the U.S. The brand typically partners with movie studios and other IP holders to create toys that tie-in with popular movies and TV shows, but the Step-It is an original product created by the company. McDonald’s Canada senior marketing manager Michelle McIlmoyle explained the new toy was the result of a pitch from one of the QSR’s agencies, Creata. The Step-It was inspired by popular fitness trackers aimed at adults such as the FitBit. 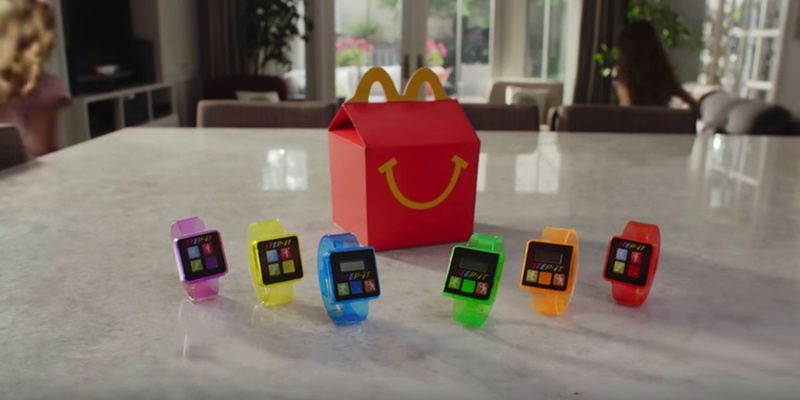 Using this as a starting point, the agency helped McDonald’s create two simplified activity trackers designed to appeal to children. The brand’s lineup of six activity trackers includes three light-up bands that blink quickly or slowly based on the child’s pace and also counts the number of steps the user takes. McIlmoyle said the Step-It falls in line with the company’s general philosophy for its Happy Meal toys, which is to make toys that encourage either physical or imagination-based play. She added the release was timed to coincide with both the Olympics and summer break, when children have free time and physical activity is top of mind. In recent years McDonald’s has made several moves to position the Happy Meal as a healthier option than it might have been seen as in the past. The QSR now uses all white meat in its Chicken McNuggets and offers apple slices and low-fat yogurt as side options. McDonald’s Canada is promoting the Step-It toy with a campaign crafted by Cossette that includes TV and several online videos. In one spot, two young girls have a dance-off to see who can get the highest activity count number on their Step-It. In another, two girls have a running competition while checking the count on their Step-It. The ads will run on broadcast for the full four weeks the Step-It is available. They are also running as YouTube pre-roll. In addition to the video spots, McDonald’s has in-restaurant signage promoting the toys. OMD handled the media buy.